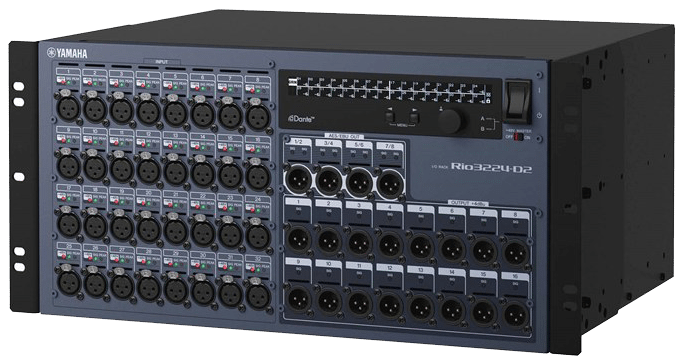 We carry several Yamaha Rio 3224d racks w/ 32 inputs and 24 outputs. We have racks with two Rio 3224d racks built int them, so you have access to 64 input channels and 48 output channels. AV vegas specializes in all types of pro audio PA system rentals. The Rio racks work with Yamaha pro sound mixing consoles: PM7 Rivage, CL5, QL5, QL1 and others.